Protect against intermittent chemical spills, splashes and power washings, as well as foot, rubber-wheeled and vehicular traffic with the 8100 Xtra System. In a smooth or orange peel finish, you'll improve the appearance of service areas with excellent color and gloss retention. Self-leveling floor coating for industrial manufacturing, pharmaceutical and other mild to moderate chemical environments like warehouses, showrooms, aircraft hangars, laboratories, clean rooms, electrical plants and storage areas. 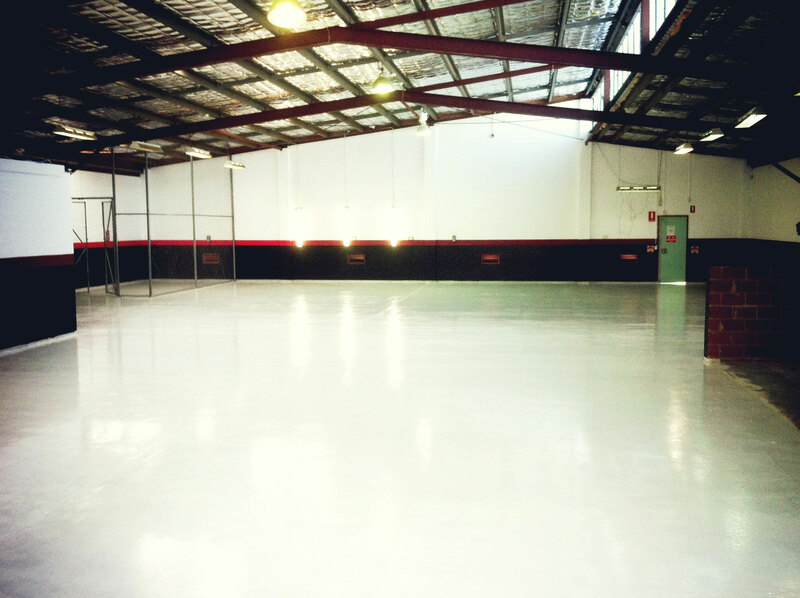 Floor coating for industrial manufacturing, pharmaceutical and other mild to moderate chemical environments like warehouses, showrooms, aircraft hangars, laboratories, clean rooms, electrical plants and storage areas. Also used as a topcoat in heavy-duty environments. Orange peel floor coating for industrial manufacturing, pharmaceutical and other mild to moderate chemical environments like warehouses, showrooms, aircraft hangars, laboratories, clean rooms, electrical plants and storage areas. Also used as a topcoat in heavy-duty environments. Vertical coating for concrete or block walls in industrial manufacturing, pharmaceutical and other mild to moderate chemical environments like warehouses, showrooms, aircraft hangars, laboratories, clean rooms, electrical plants, containment and storage areas. Vinyl chips can be fully or sparsely broadcastedin both 8000 100% Solids Multi-Purpose Epoxy and 8100 Xtra�Premium 100% Solids Epoxy for decorative finishes.